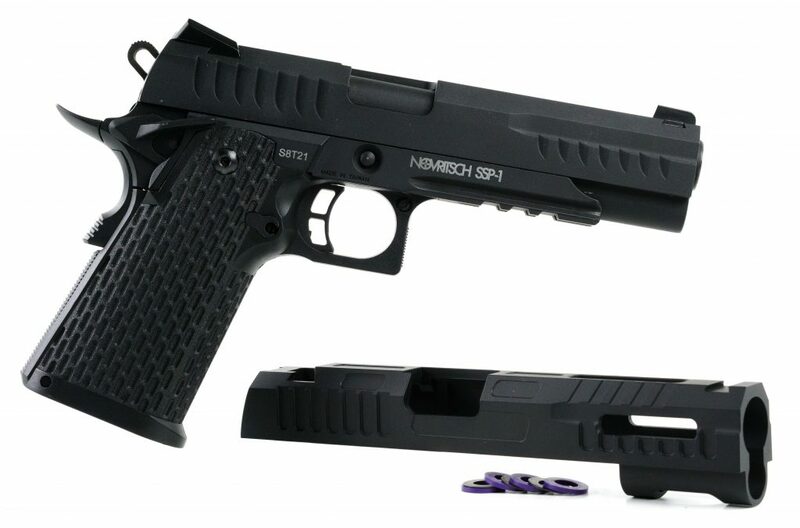 Lightweight aluminum slide for the NOVRITSCH SSP-1 with cutouts and short stroke kit. 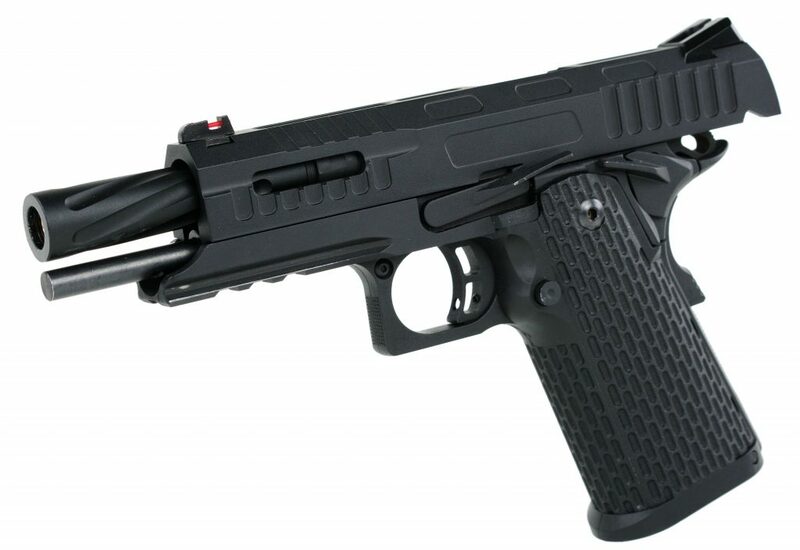 It locks back with the last shot, even with the short stroke kit installed, which makes it unique among the existing hi-capa tuning slides. 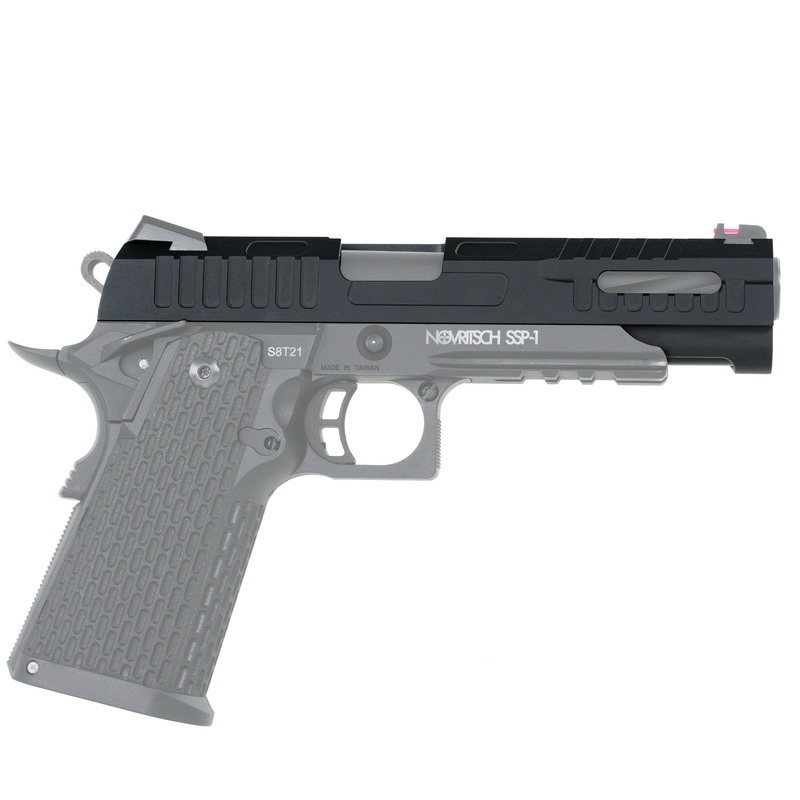 The machined serrations on the slide improve the grip, make racking the slide easier and decrease the overall weight by 14%. Less mass has to be moved back and forth which makes the gun cycle faster than standard pistol slides resulting in an overall better shooting experience. Looks: The cuts display the drilled fluted outer barrel of the SSP1 and make for an aggressive and modern look. Operation: The short-stroke feature enables faster follow-up shots and gives the SSP-1 user a snappier shooting experience. The cuts make gun manipulation easier and make sure that it will not slip through your hands even with dirty gloves. Durability: The machined aluminum withstand the heavy use with CO2 magazines easily. Gas Efficiency: The lighter slide can be accelerated back more quickly, which leads to an earlier disconnect of the knocker from the valve. This increases the gas efficiency of the SSP-1. You can see the drilled outer barrel blink through the cuts on the side as well as the top. 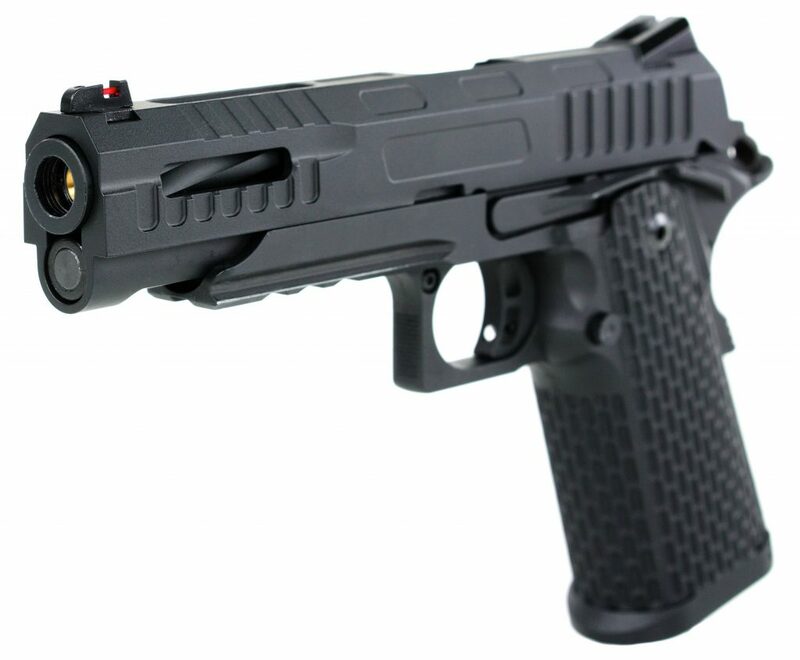 The look can be even improved by the Fiber Optic Frontsight which are available separately in different colors. The installation requires minimal tools, time and effort. Please watch the installation video to learn more about it. Since the Cutout slide is made in the same factory as the SSP-1 you don't have to worry about fitting issues. Everything will be a drop in fit.